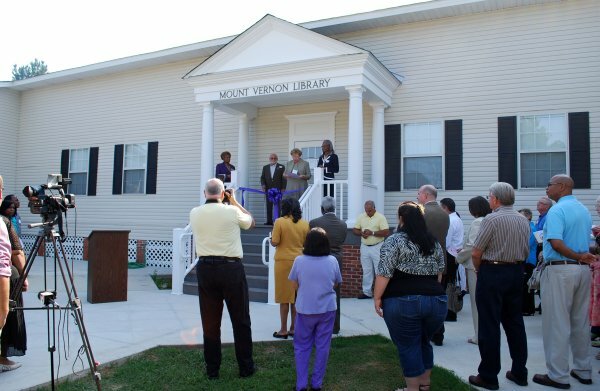 The Mount Vernon Public Library is located at 19180 Shepard Lake Road. The Mt. 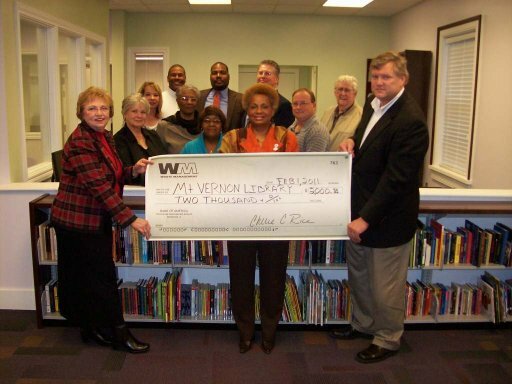 Vernon Library is in the process of moving to the new library/technology center in an effort to help support the intellectual, educational and cultural needs of all the citizens in the community. Angela Roberts, Consultant for the library, has worked tirelessly to help our library. The library boasts of ten new computers in the technology lab and four refurbished systems in the children’s area. Internet access and printing capabilities are available to patrons. Volunteers assisted with the installation and transfer. The library is in the process of improving the book collection available. 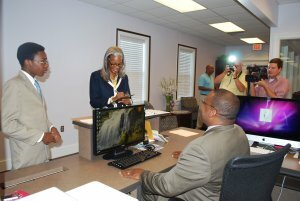 The new equipment, software, furniture and shelving was obtained through grants, appropriations and donations. 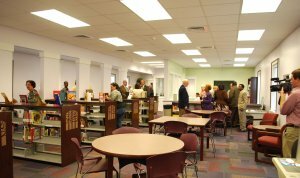 The technology lab is ready for patrons to use; however, volunteers have not completed the process of getting the book collection into an automated book systems so that the books can be shelved. Additionally, the library board and friends of the library are seeking funding to employ a librarian. 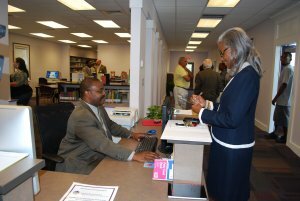 Currently the library only has a part time library clerk which limit’s the hours the library is available to patrons. 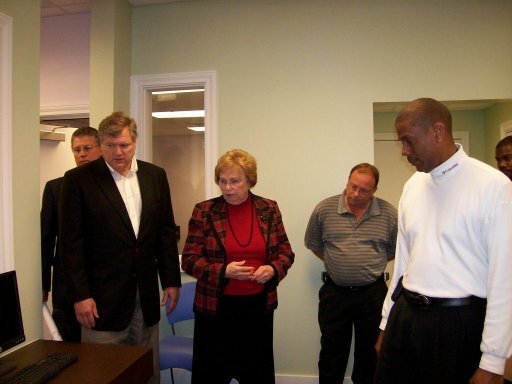 In the background are pictured Johnnie C. Robinson, Council Woman,; Jeannette McGaskill, Friend of the Library; Bonnie Byrd, Town Clerk, Leola Flott, Library Board; Matt East, Chastang Landfill Manager; Earl Driskill, Council Man. Greg Crump District Manager; Raymond Bell, Consultant for Waste Management; and Warren E. Guedry, Jr. Municipal and Community Affairs Manager for Waste Management Gulf Coast Area. Copyright © Town of Mount Vernon, Alabama. All Rights Reserved.